While Hillsong’s charismatic leader Brian Houston presides over a glitzy religious empire, he has not only had to face a Royal Commission grilling, but questions over theology, money and his church’s treatment of homosexuals. Sydney’s Allphones Arena looms out of the chilly dusk on a late June evening like one of painter Jeffrey Smart’s visions of urban dystopia. Inside the cavernous space, the senior pastor and co-founder of the Hillsong Church, Brian Houston, is prowling the stage before more than 20,000 mesmerised souls who have flocked here for the opening of the church’s week-long annual conference, famed for its spectacle, fiery preaching and rock-concert atmosphere. I think my father was homosexual, a closet homosexual. I’m no psychiatrist … but I think whatever frustrations he had, he took out on children. The faithful, the curious, the spiritually hungry: they’re packed to the roof in tight rows, eyes fixed on this master showman. At 61, Houston seems the embodiment of Hillsong’s promise: olive-skinned, unlined brow, gleaming teeth, designer stubble, and powerful build set off by jeans, open-neck shirt and tailored jacket. A veritable poster boy for the boomer generation. He’s in full flight – cajoling, conversing, proselytising – when suddenly he drops like a stone to the stage and launches into a series of push-ups. “We are lean, mean kingdom machines, all set for everything that God wants to do in this place. Amen! Amen!” he proclaims, pumping the stage as they stomp and cheer. “Your words can frame your future,” he tells them. “Speak your faith, start seeing miracles … Owner of your first home! Best-selling author … Mother of handsome sons and beautiful daughters! Businessman who is prosperous and fruitful! Your brother’s salvation, your sister’s healing … Speak it into being! Speak it into being! Speak it into being! Amen!” The uplifting mood is punctured for me two days later when I’m hauled out of my $300 conference seat near the rafters by a burly security guard wearing a Hillsong T-shirt. My sin, apparently, is to have made people “feel uncomfortable” by writing in a notebook and asking the young chap next to me a few questions. When I ask Houston some days afterwards about this subtle undercurrent of paranoia, he expresses surprise. He suggests it could have been a response to his stark warnings from the stage about Channel Nine’s A Current Affair, which had been quizzing Hillsongers outside the conference about their financial contributions to the church (a perennial sore point). There’s more bristling when talk turns to the darkest cloud currently sitting on Hillsong’s horizon, the fallout from his appearance at the Royal Commission into Institutional Responses to Child Sexual Abuse last year (of which more later). “In their eyes, I didn’t do a thing right,” he says defiantly. Hillsong’s reputation for being on the thin-skinned side is starting to make some sense. Our interview takes place in a private suite of rooms upstairs at the sprawling church complex in Alexandria (one of several valuable Sydney sites Hillsong owns) just as he’s about to jet off overseas for three months on church business. Houston and his equally burnished wife, Bobbie, 58, the reigning couple of Australian Pentecostalism, are riding the crest of a wave that shows no signs of breaking. The Hillsong empire they founded (she, too, is a senior pastor) pulled in tax-free revenues of nearly $80 million in Australia last year and more than $100 million internationally. 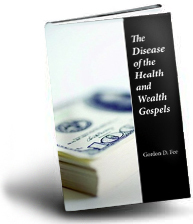 It is on the ground in 15 countries across Europe, Asia and the Americas, and broadcast in 160 nations. And it’s still growing. “I don’t feel there are any limits on how far we should try and go to reach as many people as we possibly can,” Houston says. Their three grown children all hold leadership positions within the church (though Houston flatly rejects suggestions it’s looking like a family business). Sons Ben, 33, and Joel, 37, lead the charge in the US, with Ben having “planted” a Hillsong offshoot in LA and Joel becoming assistant pastor in New York. Daughter Laura, 28, and son-in-law Peter Toganivalu are youth pastors at Hillsong in Sydney. There are bible training colleges, a Hillsong Performing Arts Academy, a Hollywood-produced film in the works, and Brian and Bobbie’s many books, CDs and DVDs. Underpinning it all is the hugely successful and lucrative Hillsong United rock band, fronted by Joel, which has soared to stratospheric heights on US Christian music charts. It’s all too much for critics such as American pastor Chris Rosebrough, who labels Hillsong an “evangelical/ industrial complex” and Houston the “CEO of an international multimedia entertainment company” that “happens to have venues around the world where they do something they call church”. Rosebrough runs Pirate Christian Radio, an online religious radio network that regularly takes aim at what he calls Hillsong’s “big box” approach to Christianity with its “squishy self-help inspirational messages” and “rock and roll laser light show”. 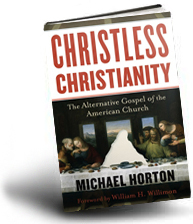 More fundamentally, he takes issue with Hillsong’s theology, accusing Houston of teaching the “Word of Faith heresy”. A similar queasiness about Hillsong’s messaging is felt by a number of mainstream church leaders here, though there is greater reluctance to say so openly. Sociologist Andrew Jakubowicz, of the University of Technology Sydney, observes that “this is not a church where the leader washes the feet of beggars”. The revelations were shocking, perhaps less so to those familiar with Frank’s inauspicious start as a churchman. 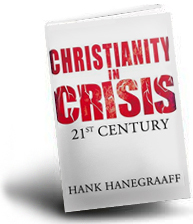 A former New Zealand Salvation Army officer who had left that organisation under a cloud when awkward discrepancies showed up in the local accounts, Frank suffered several nervous breakdowns in young adulthood. At least one episode required hospitalisation. So destitute were he and his young family that at one point they possessed nothing beyond “six forks, two pairs of blankets and an old radio”, according to his stalwart wife, Hazel. Under Bloomfield’s tutelage, Frank became entranced by Pentecostalism, a form of charismatic Christian worship that celebrates exuberant physical manifestations of religious ecstasy such as the incomprehensible babbling known as “speaking in tongues”. 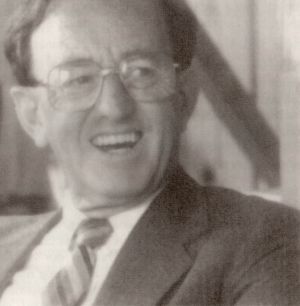 In her 1989 book, Being Frank, Hazel recalled how her husband would kneel in prayer “as close to Ray as possible so that he might experience the gushings of Ray’s tongues”. When Bloomfield eventually left New Zealand for Canada, he handed his church over to Frank who, by some never fully explained process, became an Assemblies of God minister in his own right. He became an entertaining preacher who would “do crazy things like throw a glass of water over the congregation and make funny jokes – he endeared himself to a lot of people”, recalls one former pastor. Frank’s enjoyment of the company of young men was noted, but rang no alarm bells at the time. It was always seen as “Frank being this father figure to young, gentle men”. 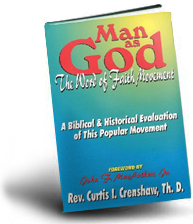 In early 1999, just before the first whiff of scandal hit, Frank issued his own book, The Release of the Human Spirit, in which he described laying hands on the infant Brian and beseeching the Lord to “make this boy grow to be a mighty man of God”. The Houstons arrived in Sydney in 1977 after a divine visitation ordered Frank to “plant a church” in the harbour city. They set up the Sydney Christian Life Centre, initially in Double Bay, and ran it on a shoestring, with newlyweds Brian (then aged 24) and Bobbie coming out from NZ to help them a year later. Brian washed windows to make ends meet, the younger couple eventually buying themselves what one former friend recalls as a “tiny little bungalow in Kings Langley”. Houston soon hit spiritual pay dirt, teaming up with the man who would become one of his closest friends: gifted musician and former ABC technical operations officer Geoff Bullock, who wrote, directed and produced much of Hillsong’s music in those years (delivering three gold albums and a platinum in the process). A trip to the US in 1989 also proved a turning point. A wide-eyed Houston was feted by pastors involved with the American Word of Faith movement and came back wearing what Bullock remembers as “the loudest shirts we had ever seen”. Everything else changed, too, according to Bullock: “The focus of Hillsong went from the standard Assemblies of God doctrine, which was more working-class and left-wing, to suddenly the prosperity doctrine.” As Hillsong leapt from success to success, Bullock found himself struggling with the increasingly frenetic pace, his own turmoil, and Houston’s leadership style. 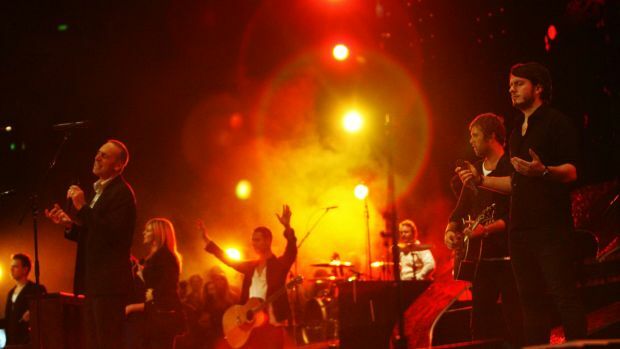 He finally parted company with Hillsong in 1995, having taken it to the brink of its international musical success. The rupture was wounding to both men. Most distressing to Bullock – and others who admired his work – is that he has now been effectively airbrushed from Hillsong’s history. 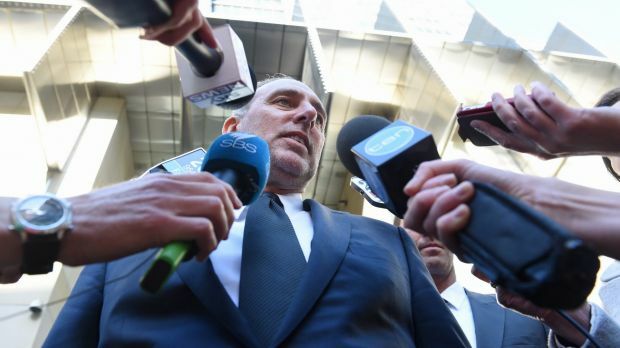 In evidence before the Royal Commission into Institutional Responses to Child Sexual Abuse at the end of last year, Brian Houston said he’d had no inkling of his father’s dark secrets before October 1999. Houston can barely contain his anger at Beckett’s recommendations. He maintains he respected the wishes of the victim, by then an adult, who had wanted the matter kept in-house; and that elders of the Assemblies of God had full knowledge and oversight of his handling of the affair. Frank died in 2004 aged 82, yet despite the gathering storm was still a respectable enough figure for then senior police officer (now NSW police commissioner) Andrew Scipione to attend his funeral. Scipione was also spotted at this year’s Hillsong conference, raising eyebrows among some of the church’s more trenchant critics. As Frank’s dark secrets gradually unfurled, Brian Houston slid slowly into a growing dependence on sleeping pills. In Live Love Lead, he describes falling prey to a growing disconnect between an inner emptiness and the church’s outward success. The climax came one night five years ago with a full-blown panic attack, which washed him up on a “great reef of jagged pain, fear and sorrow”. He was diagnosed with post-traumatic stress disorder, though he says he has now bounced back, through “the grace of God”. Didn’t he feel he was living a lie through those years, telling others that faith was enough to deliver the good life, even as he was “imploding” inside? When Frank was 78, he told Brian that Frank’s own father had once abused him after coming home drunk. 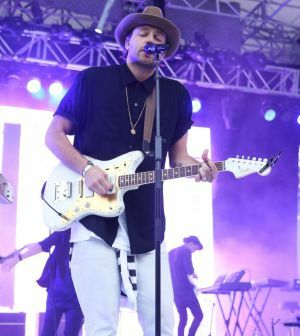 The Hillsong United band takes the stage, its members in skinny jeans and T-shirts, frontman Joel Houston in an edgy black hat, as they pump up the volume under sweeping lights. “You take me higher than I’ve been before … You are everything I want and more.” Thousands sing along, arms upraised, eyes closed, in the grip of a kind of rapture. Somewhere here at the conference, keeping a lowish profile, is pop star Justin Bieber, who hangs out with Joel at Hillsong in New York. Joel is married to a fashion and lifestyle-blogging Brazilian model, Esther Lima Houston, who struts her stuff on misswhoo.com, providing “an unfiltered lifestyle platform for the modern woman”. Happy, shiny people. Bullock once said he “came to think that the patron saint of Hillsong was Gianni Versace”. Jakubowicz says he’s “fascinated by how successfully Hillsong has integrated the various elements of contemporary culture into the whole story”. Yet while it works hard at cultivating its hip, contemporary appeal, there is still little comfort to be found here for those who are openly homosexual. 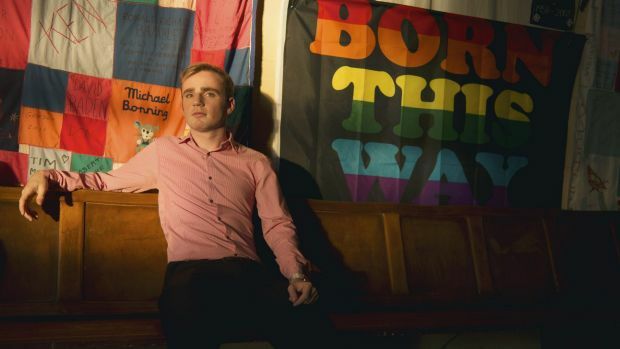 Former Hillsong regular Alex Pittaway, now studying theology in the US, says he saw one friend devastated after being told by the church that “we can’t have gay people in speaking or leadership roles”. He says others were left wounded after being directed towards what was known as “ex-gay reparative therapy”, aimed at “curing” them of homosexuality. “Gay people need to know that there is only so far they can go in Hillsong,” says Pittaway. Anthony Venn-Brown, a former Assemblies of God pastor who broke with the movement after falling in love with a man, now runs Ambassadors & Bridge Builders International, an organisation aimed at building links between religious organisations and gay and bisexual Christians. He says Houston has a “heart for people” but “like many evangelical leaders is on a journey that requires greater understanding of sexual orientation”. Houston recently referred to gay marriage as the “elephant in the room” for the churches. 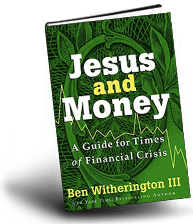 The church’s financial operations are enmeshed in nine different corporate entities registered with the federal government’s Australian Charities and Not-for-Profits Commission, and despite Hillsong’s frequent promises of financial transparency, that’s not been the experience of West, who says when he sought access to the books he was rebuffed and demonised. 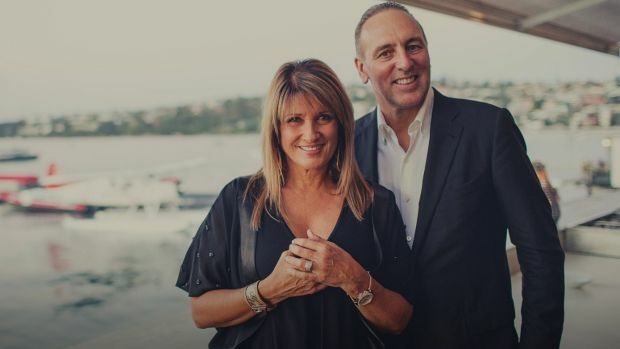 “Their response was along the lines of trying to shut me down – I got a letter from their lawyers, a cease and desist notice.” Hillsong rejects the claims and says it had to “take the necessary steps to protect ourselves from baseless and inappropriate comments”. The bulk of Hillsong’s tax-free millions appears to go towards funding its relentless expansion, and keeping its own intricate machinery running, though it does underwrite a range of charitable activities. In recent years it has raised nearly $1.5 million for victims of natural disasters abroad. It runs prison outreach services, offers free counselling to those unable to afford mental health treatment, and last year distributed more than 130,000 food and toy items. It says it reached thousands of people with its volunteer-run CityCare street teams. In 2013 Houston attempted to quell speculation about how much he and his family were earning from the rivers of gold Hillsong was generating by posting an online letter entitled “Bobbie’s and My Finances”. 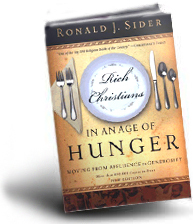 He stated he was earning $150,000 that year from the church plus $150,000 from Leadership Ministries Incorporated (LMI), which he described as “the entity by which Bobbie and I conduct our broader ministry” worldwide as guest speakers. (There is a well-trodden circuit for celebrity pastors, who were thick on the ground at the Hillsong’s own conference this year.) Personal royalties were not clarified, nor were Bobbie’s earnings. When Good Weekend asked for an update on this year’s figures, a church spokesman demurred, saying, “We do not disclose the remuneration arrangements of any individual employee due to privacy and confidentiality issues.” The 2014 return for LMI showed it had gross earnings of nearly $670,000 and two full-time employees, whose names Hillsong did not disclose. In early July, Channel Nine’s A Current Affair took fresh aim at the church’s well-filled coffers and the heavy burden placed on church volunteers. The segment included an interview outside Allphones Arena (as the Hillsong conference was underway) with Tanya Levin, author of People in Glass Houses: An Insider’s Story of Life In and Out of Hillsong, a critique of Hillsong published in 2007. Acting on a tip-off from a Hillsong member – who told police at the venue that Levin had previously been banned by the church from venturing onto any Hillsong property – including premises the church had hired for events – police swooped and arrested her. She now faces trespass charges and will appear in court again this month. Thus far Hillsong is refusing to comment on the case. However, it has again outraged church critics; West sees it as further evidence of an internal culture deeply averse to criticism. Even those who like and admire Houston worry that the circle surrounding him may be overly deferential. Rosebrough argues that the fact that Hillsong and other family-dominated Pentecostal churches have no “traditional ecclesiastical oversight” makes them more vulnerable to potential conflicts between family interests and those of the organisation more broadly. Reverend Tim Costello, a Baptist minister, believes Hillsong is doing good work among young Australians who would otherwise be like “beached whales who have lost their radar”. I think it’s funny just how often you post secular news articles and stuff supporting atheists like Steve West and Tanya Levin in your crusade against what you believe are not real churches. Can you not find many Christians who agree with you? In posting this article, are you also voicing your belief in the “gay christian” doctrine? HI ‘Phil’ – reading one article is one thing – reading the entire websites (all four of them) is another thing entirely. Quoting references outside church is not wrong if what they say is true which does not equate to adapting ourselves to their (non-)belief, value systems and moral. 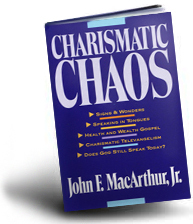 This should be required reading (after reading and gaining basic understanding of God’s Word) for every Bible Believing sheep who finds him or herself in an western “mega church wanna be” organization. To overlook what has happened in Hillsong comes down to people creating their own idols and in the process tearing out verse and chapter out of the Bible to maintain their idolatry. 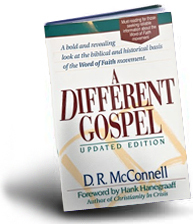 The first scriptures to go are the “over seer” epistles from First Timothy to Titus to go. Once they are ripped out of the Bible their accountability allows them to attack every other scripture until you have a Bible that has one page left in it with Malachi 3:16 highlighted. To quote Brian Houston’s buddy Phill Pringle talking about Pringle’s” underpastor” Dentch; “ He is (they are) an authority as to himself (themselves).” They are no longer servants of Jesus and their “congregation”. They heap destruction on the lives of the sheep in their fellowship, influence other pastors worldwide to do the same and mocks Yahweh who they pretend to serve in the process. A central message of our salvation from the Cross is that we live repentant lives for the forgiveness of sins, and this has been lost in Houston’s life and it is quickly transferred to the unsuspecting goats and sheep who become idolaters themselves in the name of a false Jesus. How many times did Jesus warn us about theses wolves in the Gospels? How many times did Paul, Jude John and Peter warn us about them in the Epistles? We should all be grieved. To be fair, Brian Houston is not an anomaly, but it seems you know it. 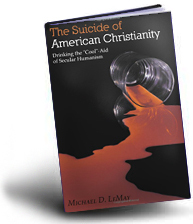 It seems to be the dominant format for many Christian Communities in the suburban/urban areas of North America. I too am a observer of it. I have seen where the Bible was the rule of the day in the church change where you have to plead with socalled leadership to open the Word to account for what we do as the Body of Christ. Frank.. I’d love to hear about you being a “recovered Pentecostal” – exiled sheep. What happened? Where are at with God now? Why does hillsong keep choosing mega-cities and establishing mega-churches if this is about the Gospel? Instead of hillsong nyc and hillsong la, why not pick smaller cities and go after the little guy and the communities? Because hillsong is all about wealth and finding markets to spread its brand, not about the Gospel. Because their philosophy is that they need to be successful and influential for the glory of God. 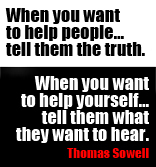 They only use the poor to make them look good on adverts and to give people the impression they are a charity.